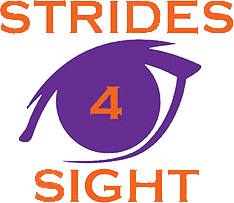 Strides 4 Sight is dedicated to restoring vision for those unable to afford care. Thanks to sponsors and participants, we raised over $60,000 for patients in 2017 and 2018! Join our email list to stay up to date with the latest race news! Join us on August 18 for the 2019 5K Walk/Run. Show your support of The Vision Project by becoming a Strides 4 Sight Sponsor today! The Minnesota Eye Foundation created the Strides 4 Sight 5k Walk/Run and Kids Fun Run in 2014 to increase awareness and funding for The Vision Project (TVP), a community outreach program offering eye care services and surgical treatments to patients unable to otherwise afford care. The event is a volunteer effort led by the Minnesota Eye Foundation and Strides 4 Sight Committee, a group of Minnesota Eye Consultants volunteers dedicated to making a difference throughout the Twin Cities and greater Minnesota. The 5K and Kids Fun Run take place each fall around Como Lake in Saint Paul, MN.